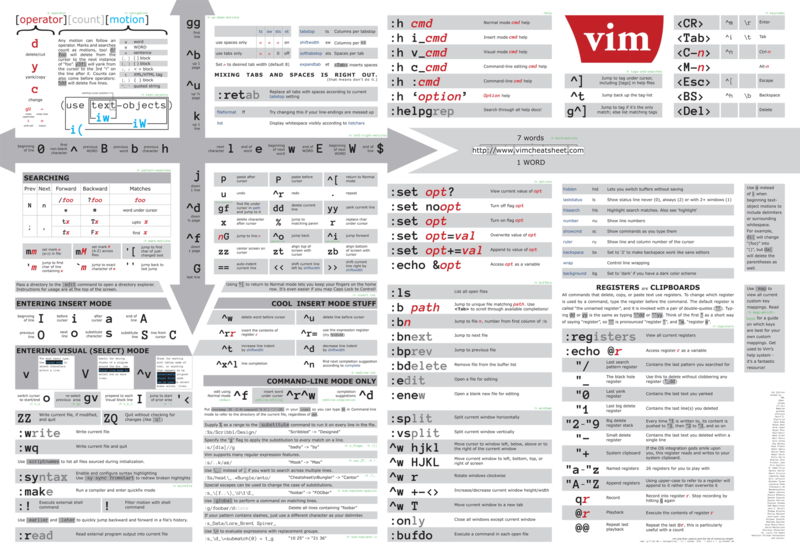 This cheatsheet by the creator of ViEmu can be found here (GIF and SVG version). A PDF version of the cheatsheet has been created here. Directly download the SVG or PDF version. 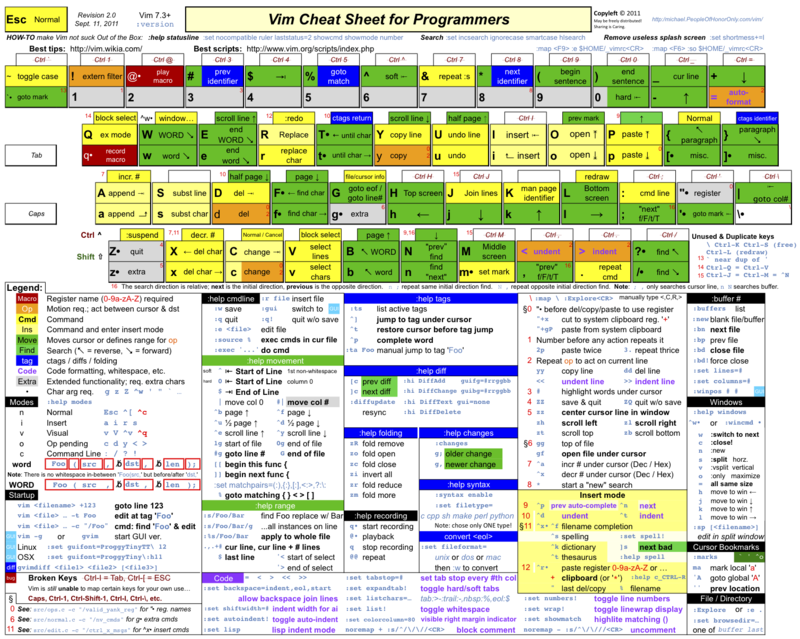 This Vim cheatsheet by Michael Pohoreski is similarly designed as the Graphical Vim Cheatsheet, but seems to be a bit more extensive. It can be found here. Directly download the PDF version. A vim cheatsheet, created by Max Cantor, targeted to be beautiful and organised (unlike the vim user interface and most other vim cheatsheets). The project is presented here. It seems to be possible to buy high-resolution electronic and physical copies (posters).